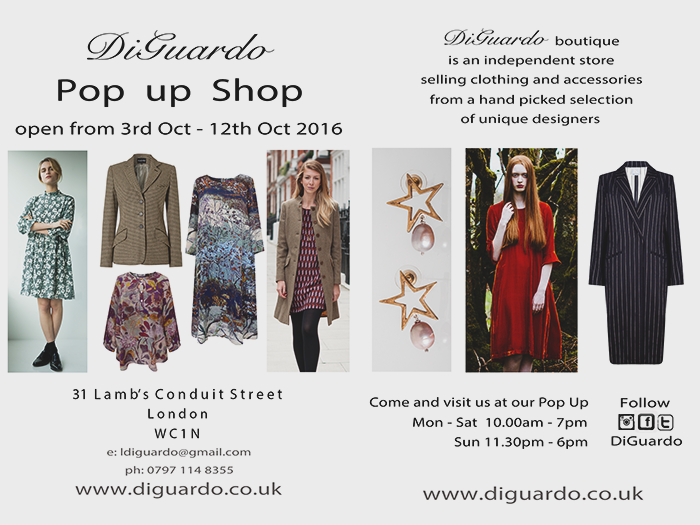 We are so excited to inform you that we’ll be opening our DiGuardo Autumn PopUp Shop at 31 Lamb’s Conduit Street, WC1N, Bloomsbury next Monday 3rd October until 12th October. Come and see us and browse our new autumn collection. We will have more designers, an amazing hats collection by Mudu and beautiful leather travel organizers by Travel Org.